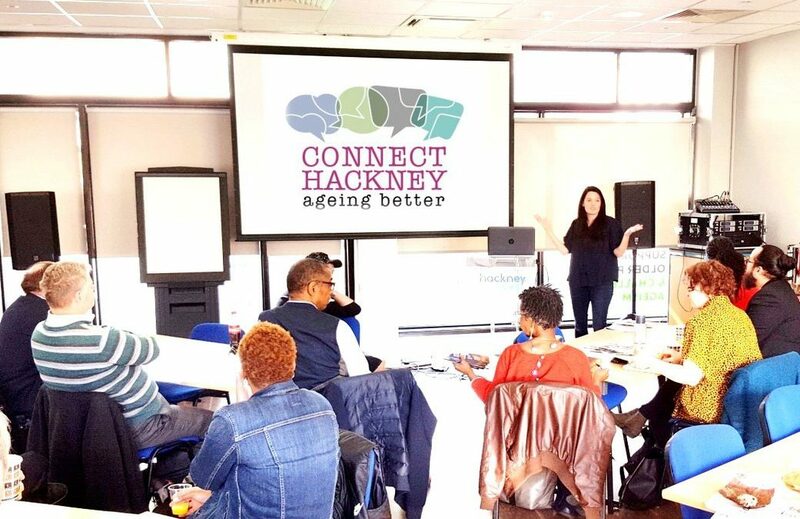 There are loads of great Connect Hackney activities happening locally. Here are just some of the current activities on offer. Action on Hearing Loss (with deafPLUS) are working with men aged 50+ who have confirmed or unidentified hearing loss. They provide access to hearing screening checks, with follow-up support and hearing aid maintenance support groups. Contact Todorina Hammond on 07442 538 939.
allow older and younger people to come together, share food and enjoy a programme of activities at community venues in their local area. Contact Amanda Inniss on 0787 634 5457 / 0785 232 8993.
involved with the Gillett Square Action Group. Contact Stephen Gardner or Natalie Pink on 0330 380 1013. Peter Bedford Housing Association is working with people with learning disabilities aged 50+ on a range of activities to improve skills, confidence, health and socialising. Activities are run from their hubs at Clissold Gardens, Hoxton and Kingsland Road. Contact Kamye Miessen or Anjum Ahmed on 020 3815 4100. Shoreditch Trust’s Community Coordinators offer one-to-one sessions for Hackney residents aged 50+. Build your confidence and motivation and get involved with social activities, including meeting new people, discovering local places, learning new skills and improving wellbeing. Contact Teresa Buckland on 020 7033 8587. Contact Siobhan MacMahon on 020 7739 2965.